One of the most important decisions a small business can make is which merchant service they will use for credit card processing. There are many things to consider, which is why we’ve created this list of the top 15 credit card processors for small businesses 2015. This list takes into account that the primary concerns of a small business are price and reliability, and those are the most heavily weighted factors in our ranking methodology. We believe that simple, clear, concise pricing is the key paying for what you need and nothing more as a small business. Thus we rank processors more highly the easier their plans are to understand, the fewer fees there are, and the clearer their pricing structure. There are four types of pricing you will find among the various processors. Tiered pricing is complicated, often with many different fees that over time can really add up, and sometimes it’s not so easy to tell which fees you need to worry about and which times. Then there is bundled pricing. This is simpler than tiered pricing, clear and concise, but sometimes inflexible. Interchange Plus and Flat Rate pricing are the simplest pricing structures, they allow you to plan because you always know exactly how much the service will cost you. Here is a detailed description of our ranking system’s methodology. We provide this to you because if you agree with our methodology, and want to evaluate a service you don’t see here, you can apply the ranking system to that service yourself. Chase is a truly massive bank, and they handle the whole payment process in-house. This means that they provide their customers with the merchant services, and they process the payments. Because everything is handled through one company, it means there are fewer factors involved in the process to break down. When things do break down, often they can be fixed more quickly. However, the reality is that for that kind of service you have to pay, and many small businesses just don’t do enough business to make it a wise economic choice. 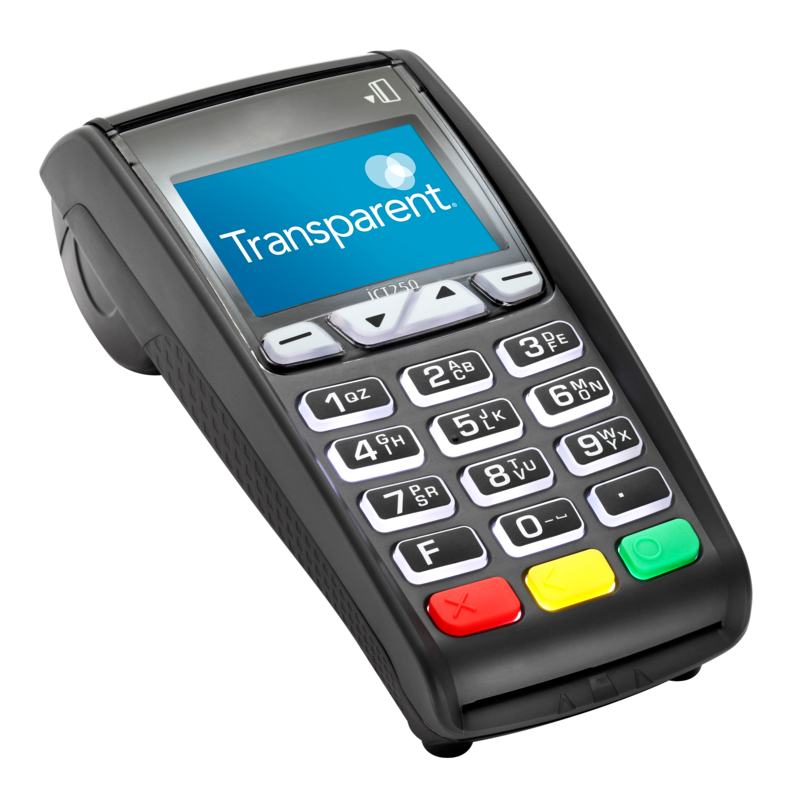 The company also provides lots of literature on the subject of credit card processing, including how-to manuals and such which can be valuable to those unversed in the technicalities of the industry. Remember, this list is a reflection of how well the service fits small businesses. Chase’s services are very high quality; their prices are just very high for many small businesses. Customer Service: 24/7 Helpdesk and an Account Rep during business hours. 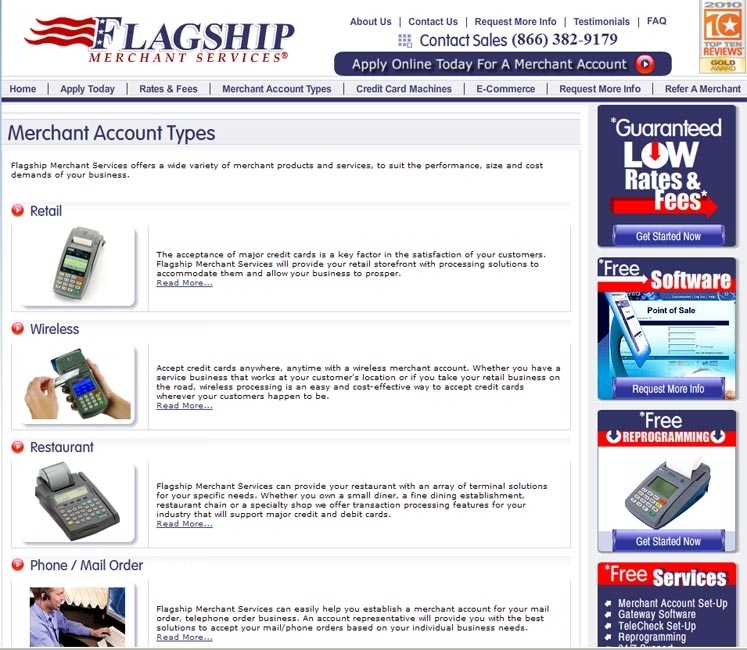 Flagship Merchant Services is one of the better-known merchant services companies in the market. The company is a good baseline by which to gauge the quality of other services. Flagship offers the industry standard in pretty much every category. When compared to some of its more small business friendly peers on this list, it’s clear that the company represents the best of the old-guard of merchant services in terms of what they offer small businesses. Still, a small business owner must know what their needs are walking in, and not be afraid to negotiate for that. 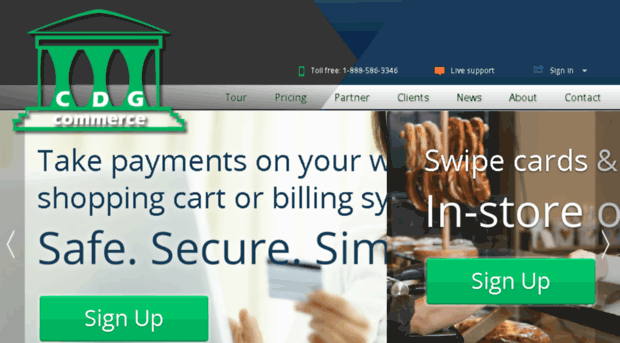 Recurring Fees: PCI Compliance $99 Annual, PCI Non-Compliance $19.99/mo. 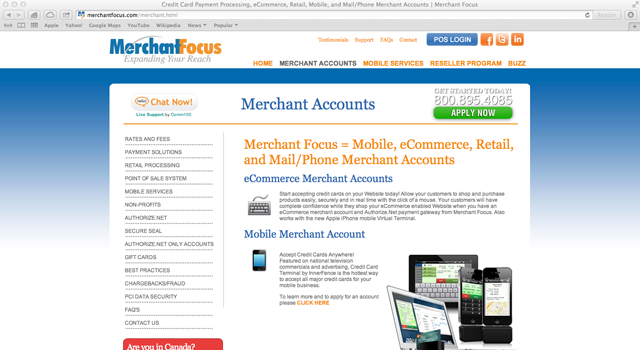 Merchant Focus provides good service, their monthly fee isn’t bad, and there aren’t nearly as many extra fees as there might be with other merchant services. That their pricing isn’t as clear as it could be, and the fact that they don’t reveal the rates for non-qualified purchases, could be worrisome for some customers. You maybe have to really dig to get accurate pricing and be willing to negotiate to make sure you get the best deal possible. 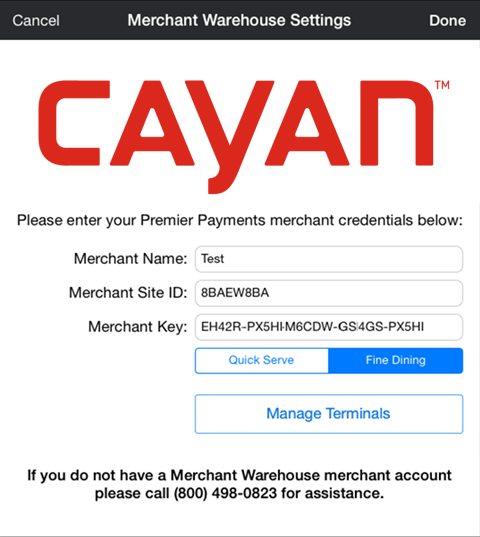 Cayan offers very reliable service. Their prices are on the high side and the extra fees and monthly minimum are things that are dying out on the small business side of this industry. Often a lower flat rate will be better for a small business, especially one just starting up. However, for more established businesses doing a lot of volume, Cayan becomes more competitive. Pricing Structure: Interchange Plus if you ask. Customer Service: Email, Phone, and Live Chat During 9am to 6pm. 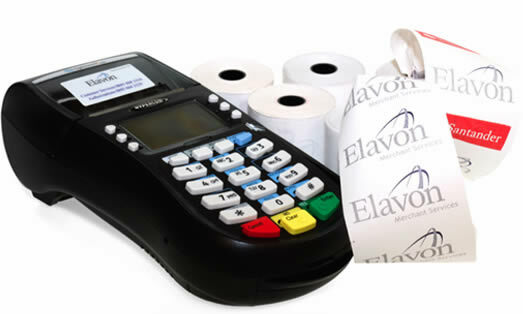 Elavon is one of those companies that does almost everything right. Their $175 annual PCI Compliance Fee is a strike mark against them as most of the best companies charge less. Other than that, the pricing is pretty much in line with what you find from tiered services, and if your volume is high enough, you may be able to get an interchange plus service from them, but it’s not advertised. Overall, the company is reliable, and its customer support comes in nine languages which is great for any business that might have branches or seek to expand overseas. Application Fee, Setup Fee or Other: PCI Compliance Fee $175 Annually. Gotmerchant doesn’t specify whether the rates on its site are tiered or interchange plus rates so you will have to ask about that on the phone. What we do know is that the rates are pretty great either way. 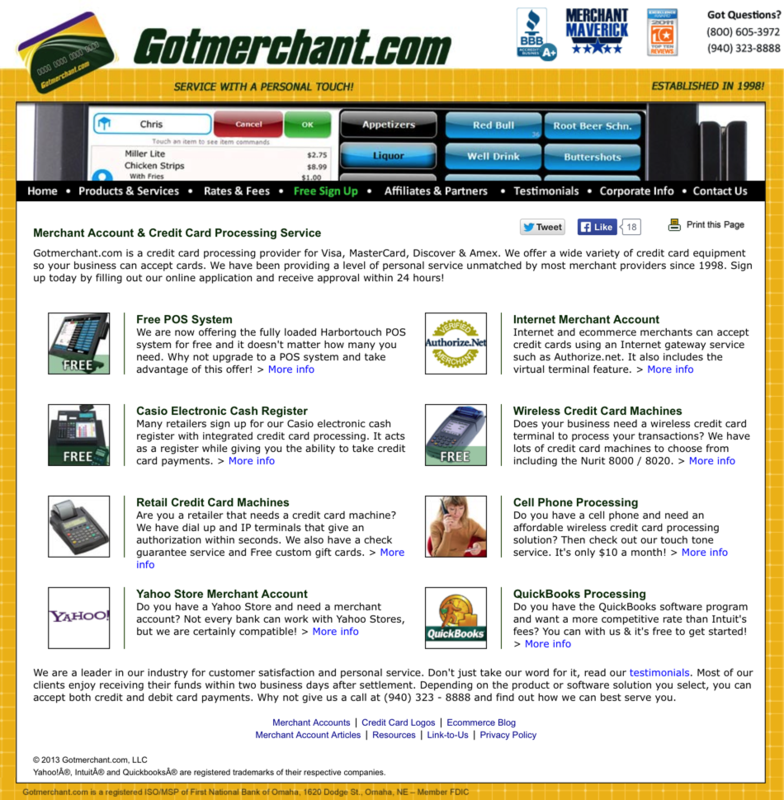 With little to no additional fees, Gotmerchant is really one of the most simply priced services. Make sure as always, however, to ask plenty of questions, and don’t be afraid to negotiate. The $25 monthly minimum can be a raw deal for business not doing much volume, or whose business is largely seasonal. But be certain that the service fits your needs because their shortest contract is 90 days. Customer Service: Same day response support with strong reputation. Transparent Merchant Services won’t be the best fit for everyone, but some will stand to save a lot of money through their bundled pricing. The Pro plan is priced very simply, a monthly fee, a 19 cent transaction fee right off the top, and a $99 compliance fee, that’s it. You are limited to 500 transactions per month, so if your business is a lot of small transactions this isn’t going to be a great service to you. However if your average transactions are $20.00 and up, the plan starts to make a lot of sense. Where it really shines, though, is in a setting where the average transaction is $50 or $100 dollars or more because the transaction fee doesn’t take a percentage of your sale. The pricing we listed here is for a plan that has a max of $40,000 per month. If you do under $10,000 per month there is a plan that is about half the price, though the transaction cost is higher, but most small businesses will use the middle level. The $40.00 per month you pay takes care of any account associated costs instead of breaking it up into little fees here and there that nickel and dime you to death. You’ll find the $40.00 per month flat fee saves you an incredible amount of money over plans that require monthly minimums and other such fees. This way it’s nice and simple and you know what you’re going to pay each month. Also, if you want to see their customer service in action check them out on Twitter, G+, and Facebook. Application Fee, Setup Fee, or Other: none. Customer Service: 24/7 by phone and email, but customer service is also available through Facebook, G+, and Twitter. For very small businesses, Merchant Plus offers a credit card processing plan that has no monthly fee in exchange for a higher percentage of your sales (2.9%) which is great for businesses that do not anticipate doing more than $1,000 per month in sales. The good news is that because the plan is month-to-month, you can upgrade without issue as your business grows. This sort of flexibility, and the incredibly good pricing, makes Merchant Plus one of the best credit card processors for small businesses. Customer Service: Phone Support during east coast business hours, 24/7 ticket support system with response/solution turnover within 12 hours. The nice thing about Payline is that you won’t have to pay for anything you don’t need. 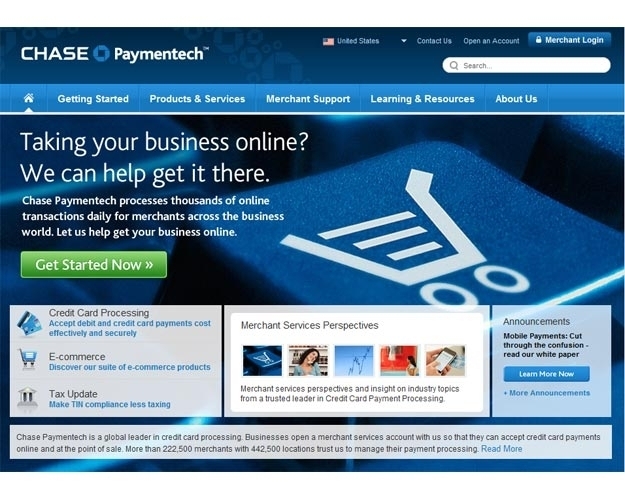 Payline’s base plans are reasonably priced basic interchange plus plans so they’re simple. However, this doesn’t mean you can’t get more if you want. Payline offers plenty of extras and add-ons, for additional fees, but it adds a nice customization you don’t always find elsewhere, and enables you to get exactly what you need and nothing more. Customer Service: Extensive knowledge base, community support forum, phone and email. 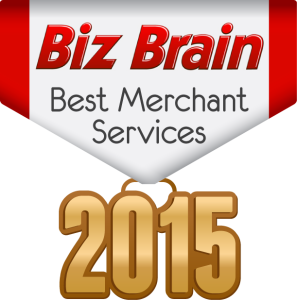 CDGcommerce is one of the top-of-the-line merchant services for small businesses. Much of the cost is based on the amount of business you do. Sure it may appear that the Interchange Plus pricing is a little higher than some of the other options. But that plus a tiny $10.00 per month monthly fee means almost everything you pay is based on how well your business is doing. After 15 years of business, CDG commerce has incredibly few complaints which is rare for companies in this business. Customer Service: 24/7 Live Chat, Email, Phone and Twitter. 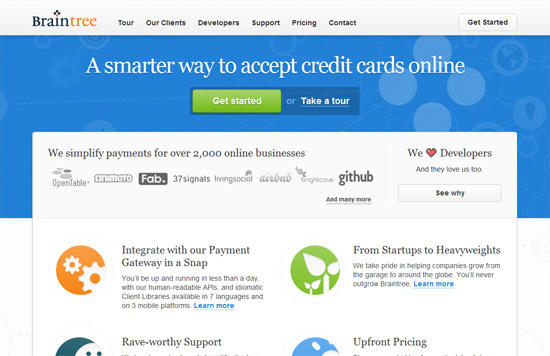 Braintree is the online only go-to merchant resource for tech startups. They are developer friendly, and customers of theirs include airbnb, UBER, GitHub, StubHub, and more. They’ve been known to run special promotions that promise free processing on your first $50K and the transaction fees are the only fees you will pay. Their services include Marketplace and Recurring Billing. And while it’s a great home for tech startups, anybody can avail themselves of the great features offered by Braintree. 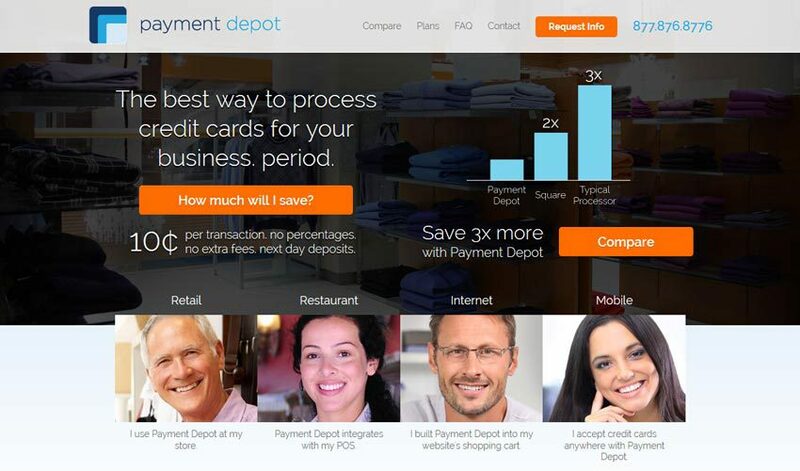 Braintree does PayPal, Visa, Mastercard, American Express, Discover, JCB, Diner’s Club, v.zero, Apple Pay, and One Touch. It doesn’t get any simpler than this. Customer Service: Phone and Email support during business hours, 24/7 service for emergencies. 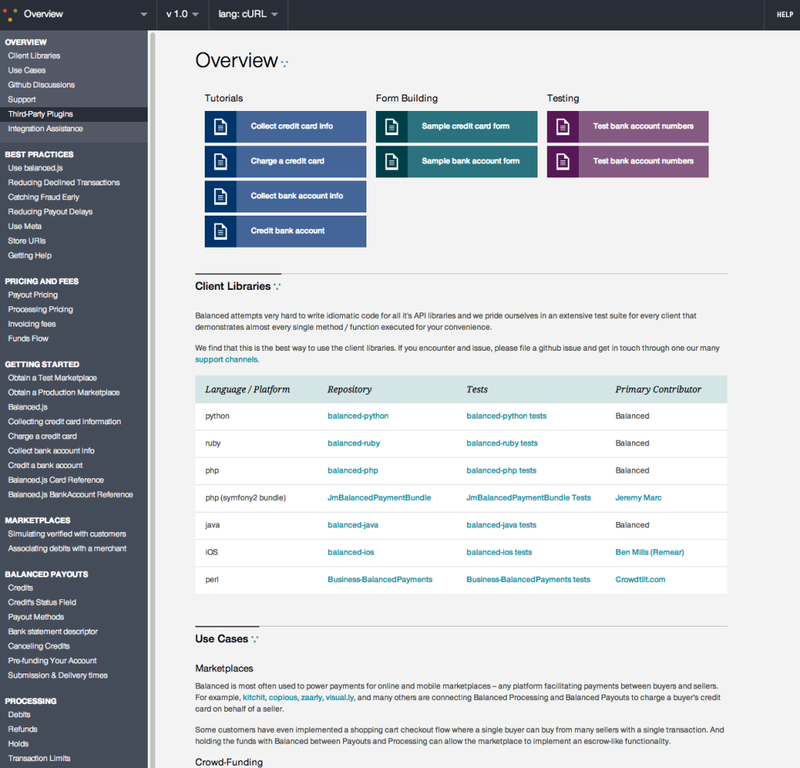 “Status” page provides information about outages and issues in real time. Your pricing here with this online only service is flat rate, no monthly fees, or really any fees of any kind. Just 2.9% +$0.30 of your transaction. You pay according to the business you do, which means in the bad times you pay less, and in the good times maybe a little more, but maybe not. Many services deliver the death from a thousand cuts, manipulating fees to make it seem like none of them are that much, but they really add up; here, you know what to expect going in, and if you grow to a point where another merchant would be better, you can always switch then because there is no contract. Customer Service: Real Time IRC chat service has technicians monitoring the chat for real time troubleshooting assistance. You can also get questions answered on Stackoverflow, Quora, Twitter, and GitHub. 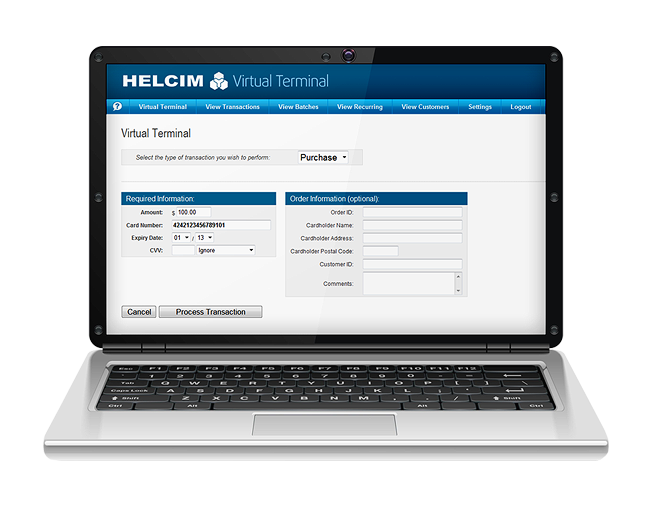 Helcim isn’t shy about disclosing their prices and fees. On top of this, they are reasonably priced. Retail stores pay one of the lowest transaction costs in the market, without having to worry about a monthly minimum. The monthly fee itself is an unbelievable price at $12/mo. The internet costs are more expensive to be sure, in that they are comparable to the lowest rates you tend to find anywhere, especially as a small business. The $20 annual IRS reporting fee is pretty much inconsequential. Customer Service: Extensive knowledge base paired with 27/4 phone and email support. 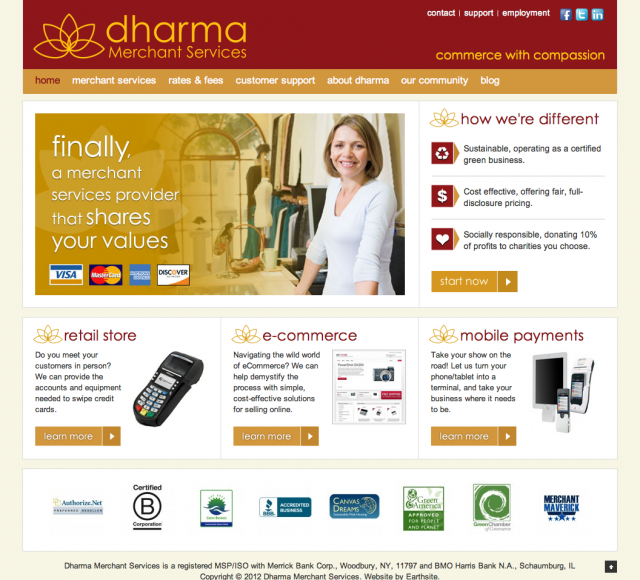 Dharma Merchant Services is one of those companies that seems to ask itself “how can we be better in every way?” Their prices are cheap and, indeed, even cheaper for non-profit ecommerce (especially important for those that accept credit card donations over the internet). Dharma offers discounted rates for non-profits. (And, if a non-profit is a Tech Soup member, they may qualify for a waived setup fee.) Of course the monthly fee is one of the best in the business even when you have to pay it, especially considering it’s the only fee besides the transaction fees. If it already seems like Dharma just cares less about earning massive profits, you would be right. But on top of the incredible pricing, they also donate half their profits to charity. If their services meet your business needs, there is no reason to go with anybody else.